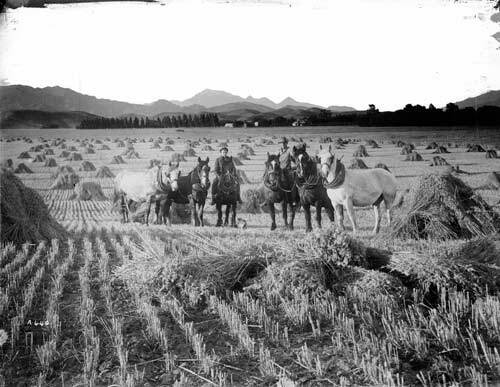 Oats were a favoured crop on smallholdings in the lower Awatere and Wairau valleys in the early 20th century. They were grown partly to feed horses, so the area planted in oats reduced in the mid-20th century as horses gave way to motor vehicles. This is a harvested oat field near Seddon, Marlborough, about 1915.